The art capital of West Texas, Historic Downtown San Angelo spirits its visitors and residents along historic mural tours, to impressive museums, and into lively clubs, pubs, and coffee shops. Living history, orchestral music, passionate ballet, and stunning art galleries await. Hop on the free Trolley and be transported around Historic Downtown San Angelo's most delightfully artistic hotspots. Mark the third Thursday of any or every month to enjoy an evening of eye-pleasing euphoria! The Historic Murals of San Angelo celebrate, communicate, and preserve those bygone eras of San Angelo's history. Allow your entire field of vision to be flooded with these breathtaking and larger-than-life paintings. As fun as mutton-bustin', the Historic Downtown Sheep Spectacular tour requires dedication if you, your friends, and your family are going to find all of these distinctive sheep. Can you take a picture with each of them? Your one spot stop for all of the goings-on and exciting events happening around Historic Downtown San Angelo. Check back often as new events are added weekly. 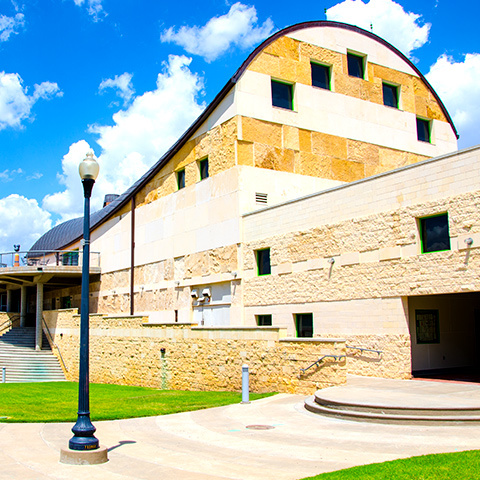 The beautiful San Angelo Museum of Fine Arts, with its distinctive covered wagon roof, boasts a permanent collection of works by Texas artists, ceramics from the mid-1900's, and American and Mexican-American paintings and sculpture from all eras. Bring the kids for Art Thursdays! Historic Downtown San Angelo is dotted with artistic enclaves that must be seen. Absorb the masterpieces of local and internationally-renowned artists. Opportunities to peruse, purchase, and participate present themselves throughout Historic Downtown's art community. Aurally-astounding and emotion-evoking music brought to you by San Angelo’s own Symphony Orchestra. 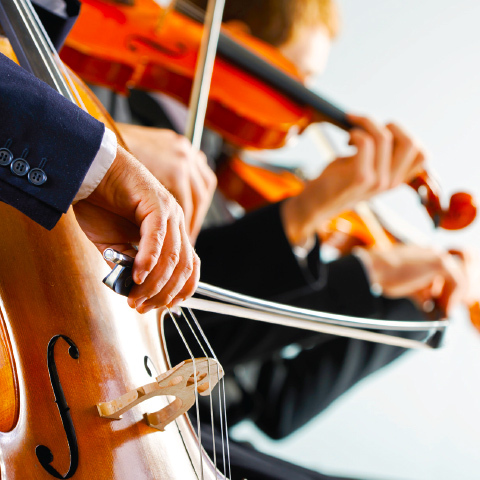 Watch, feel, and listen, as the strings, the brass, the woodwinds, and the percussion synch harmoniously and play melodically. Year-round events and educational opportunities abound. Grace and elegance effuse the atmosphere as the performers in San Angelo’s Civic Ballet take the stage. The classic annual production of the Nutcracker, as well as the season’s eclectic line of other performances mustn’t be missed. Attend a class, attend a show, and, as always, bring the family. Polish your boots to get your Two-Stepping and Cumbia on. 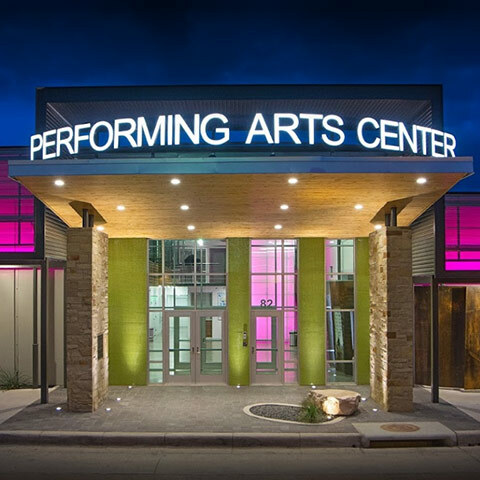 Listen to live rock, jazz, country, and Tejano performances. Enjoy any of Downtown San Angelo’s pubs, clubs, bars, and taverns. 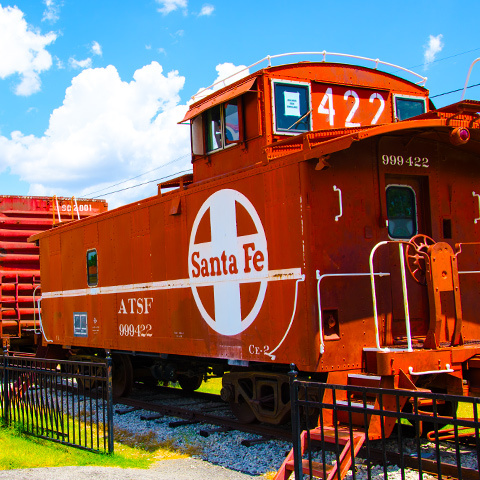 The entire history of the San Angelo Railway can be observed at the Railway Museum, where artifacts, model trains, an actual South Orient locomotive and Santa Fe caboose, and so much more are on display. Living History at its best. Walk through the barracks and officer’s quarters of a true West Texas fort. Have a conversation with a 19th century Cavalryman, Laundress, Buffalo Soldier, or Native Texan, during the many special events at Fort Concho. Stroll along the prettiest part of the Concho River with loved ones. Bring your fishing pole for some relaxed angling. Dip your toes into the ambling current and let time and worries slip downstream. Around Christmastime, gaze at the millions of Christmas lights that adorn the river and its walkways. 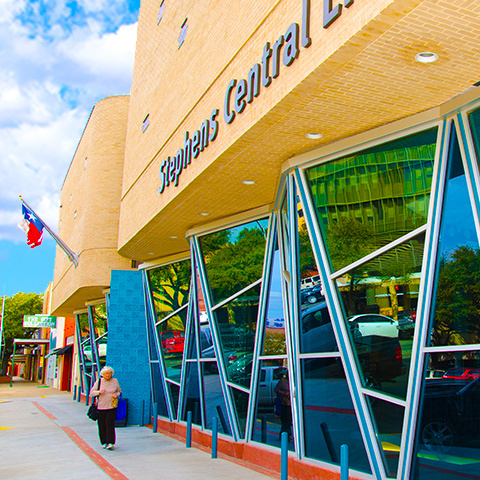 The Stephens Library caters to those who want a cozy place to curl up with a good book. The stunning contemporary architecture provides a clean and sleek atmosphere, where walk-in readers can grab a coffee, a novel, and a seat. Watch the kiddoes as they climb through the Kid’s Kingdom, maze-like playground. 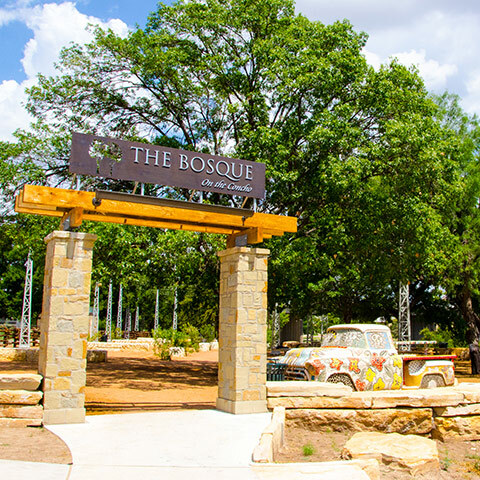 Join a Bocce Ball game in The Bosque area, an art-filled and riverside pocket forest. Or, grab your board and head over to the skate park for ollies and kickflips. Take a further step back into history as you visit the gems along Historic Concho Avenue. Walk into a general store, take a tour of a bordello museum, or browse through an antique mall—just to get you started.